A fresh and unique approach to learning Spanish! 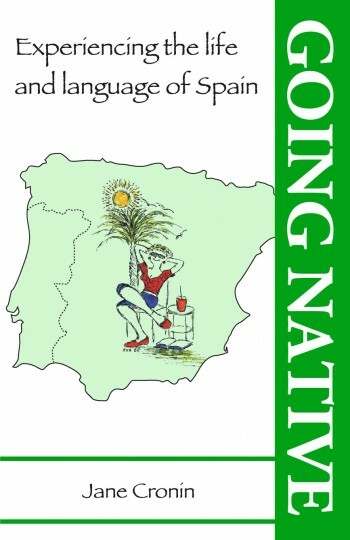 Going Native, written by language teacher Jane Cronin, brings the life and language of Spain home to you in an entirely new way. Its light-hearted style will strike a chord with all ages, and will inspire you with the confidence you need to practise your Spanish next time you are out and about mixing with the locals. Going Native is about discovering Spain and learning Spanish, but it’s also about much, much more than that. It explains all those little everyday things that happen in Spain that you’ve never quite understood. It is full of fascinating observations on the way things are done and is overflowing with tips on how to break through the language barrier and start communicating with the people around you. The e-book is delightfully illustrated with humorous drawings by the artist Eva Gold Young.